Rwanda is an amazingly beautiful country and success story of Africa. Known as the “Land of Thousand Hills”, it features mostly highlands and hills at altitudes from close to 4,000 feet to 14,786 feet of Mt. Karisimbi in the northwest. Due to its elevation, Rwanda’s climate is comfortable and temperate year round. The country is one of the cleanest in Africa with good infrastructure, shiny new buildings and a government the locals say isn’t corrupt. Many streets in Kigali’s city center are paved, complete with boulevards lined with grass and palm trees. Rwanda looks prosperous compared to neighbouring countries. More importantly, with the genocide behind them, there is optimism, peace and hope among the people who smile and sometimes hold hands in public to show unity, no matter what gender. Here are sample itineraries that include Rwanda. Rwanda’s tourism is best known for it’s gorilla trekking in Volcanoes National Park. It’s hard to find the words to describe the sensation of looking into the eyes of a wild mountain gorilla standing so close you could touch it (but of course you won’t to avoid transmitting diseases). It’s a “bucket-list” experience not to be missed and Rwanda is a good place for doing it. 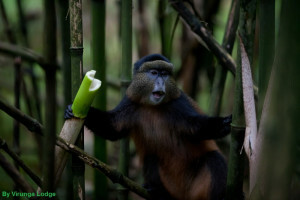 Another fantastic primate-viewing area as well as a birders hotspot is Nyungwe Forst National Park. After an early rise you will have a hearty breakfast to give you enough energy for the gorilla tracking. Your driver will take you to park head quarters in Kiningi for a briefing explaining gorilla viewing etiquette such as to never make eye contact with a silverback. Armed guards are with the groups 24 hours and advise the warden of their locations. The guides will then take you through the bush pushing your way through the undergrowth, parting thick creepers, to track the gorillas. Each visitor group is usually led by a park ranger/guide, two trackers and two armed personel. Porters are available for extra charge to carry your personal items such as lunch, drinks and cameras. We highly recommend the services of a porter, not only to help with the steep and muddy stretches, but also to support the local community with extra income. Once a gorilla group has been spotted by the guide he will calm them by making low grunting sounds and imitating their picking and chewing leaves. You will then be led closer to the group. It is an extraordinary feeling sitting in the dense rainforest knowing you are with a few of the last remaining mountain gorillas. A mature silverback male gorilla may weigh as much as 440 pounds, or 3 times the overall weight of an average man. The males are referred to as the silverback because as they mature the hair on their back turns somewhat silver, hence the name Silverbacks. However the anxiety of being close to these majestic apes normally disappears once you set eyes on the group. Normally the gorilla group will be scattered over a small area of thick vegetation. They will carry on with their interactions and even feed without any concern of their human visitors although they will be observing you with interest. sometimes a playful youngster will boldly approach you with inquisitiveness, at times coming really close that you will need to move away. You are not allowed to move less than 7 meters close to them; this is to safe guard the gorillas from contagious human diseases. Sadly enough there are only about 850 of these beautiful creatures left in the world. You are allowed exactly one hour with the gorillas before returning to the base station. We must also stress that, while you have a very good chance of seeing gorillas, success is not guaranteed (although chances are around 96%! A fascinating fact is that Gorillas and humans share 98% of their genetic composition. Rwanda’s high season is June – September and December to February. It’s hard to predict nowadays when the rainy season will be. Climate changes are making it difficult to forecast. Normally the long rainy season should be in March, April and beginning of May and short rainy season in November. However, the last 5 years the short rainy season has been in early December. Gorilla tracking can be done throughout the year and success rate of seeing them is the same . In rainy season the tracks in the rain forest might be a bit muddier and your tracking might be a bit longer/ tougher because of that. However, its a rain forest, so the difference is not all that big compared to the dry season. In rainy season you are more likely to track in smaller groups. – Ease of getting to the Parks: Unless you are planning a whole country Uganda Tour your travel from Entebbe would be a short but costly morning plane flight plus two hours by road, or about 8-9 hours road travel to Bwindi versus 2-3 hour road travel from Kigali. – Ease of getting to the gorillas: Uganda sells permits for a particular gorilla group which you can request when booking well in advance. Although keep in mind that the location of your accommodation influences which groups you can see as the driving distance is 2-5 hours between starting points. In Rwanda which group you will see is decided upon on the day by the guides as all groups start out from the same starting point. This allows for assignment of less athletic and older people to gorilla groups that are closer to the starting point. Hence, less fit people might consider this advantage. Also people that like to take longer hikes can state their preference. In Uganda your permit is for a particular group and that’s where you will go, regardless of their location that day. – Cost: Permit trekking prices for 2018 are US$1,500 for Rwanda and US$600 for Uganda (same price during rainy season April,May,November). Uganda visa (also valid for Kenya and Rwanda) for Americans is US$100, Rwanda visa is US$30. – Ease of sighting: Although foliage depends on where the gorillas are located at time of visit, in general the foliage is thicker with bigger leafs in Uganda with Rwanda having more bamboo forests which have smaller leafs. – Cultural considerations: A visit to a Batwa pygmy village in Uganda can easily be incorporated when visiting Bwindi from the south western area. In Rwanda you may visit a living cultural museum. – Gorillas and Chimpanzees: Possibility of seeing gorillas as well as chimpanzees is currently easier accomplished in Uganda than in Rwanda, although one of the operators is developing an option in Rwanda which will be available in the future. – Serengeti and gorillas:If you are also visiting the Serengeti, than Rwanda is the easier choice in regards to flight connections due to direct flights from the Serengeti to Kigali. Note: if you are having a hard time to decide which area to visit, consider the option of visiting both Uganda and Rwanda gorillas as they are not too far apart across the border. As of 2018, there are 10 mountain gorilla groups habituated making it 80 gorilla permits for visitors to Rwanda available every single day. 8 people per group can trek to these endangered apes. With a gorilla permit costing US $ 1,500 per person per trek, part of your contribution goes to conserving these mountain gorillas. Armed guards follow the groups 24 hours a day! The decision of which group you may visit is made on the morning of your trek by the wardens. Consideration is given to fitness levels and desires of length of trek may be considered. Permits should be booked well in advance, especially during Rwanda’s high season of June – September and December to February. Part of the cost goes to conservation and protection of the gorillas by 24 hour armed guards. Typically Mountain Gorillas eat large quantities of flowers, leaves, fruit, roots, bamboo and shoots in season. The adults can consume up to 75 pounds each day with a mature silverback weighing up to 440 pounds. Mountain gorillas exist in groups which differ in size from 2 – 30 or 40, however commonly in groups of 10. There is no specific mating season with babies born throughout the year. The males begin breeding at around 15 years while the females start giving birth between 10 and 12 years. Females can give birth every 2 to 3 years with 4 – 6 offspring through their lifetime. Males leave their group at about 11 years of age, while a little over half of the females will leave their group. Mountain gorillas communicate through sounds like roars, grunts and shouts, and 25 sounds currently have been documented by researchers. Volcanoes National Park, referred to by locals as PNV – Parc National des Volcans, is best known as a sanctuary for the regions rare mountain gorillas. The Park is part the Virungas mountains which form the border between Rwanda, Uganda and DR Congo and are one of the most beautiful sights in Africa. Approximately 480 mountain gorillas live in the Virunga complex and reside at an altitude range of 7,500’ to 14,700’. Rare golden monkeys, a subspecies of blue monkeys, can also be tracked here. This corner or northwestern Rwanda is a breath-taking unforgettable place where culture and adventure intersect. PNV is also one of Rwanda’s conservation epicenters, where many non-profit organizations base their operations. Visitors can pay homage to the legendary scientist and gorilla advocate Dian Fossey with a hike to her tomb or a visit to the Dian Fosse Gorilla Fund that continues her legacy of research and advocacy to this day. Near the park, the bustling and vibrant markets of Musanze are a place to immerse yourself into everyday Rwandan life style. Go deep into the earth with Musanze’s caves – one of the area’s newest attractions. Located just outside the national park, the Iby’Iwacu living museum highlights aspects of traditional Rwanda society. Visitors can expect to be greeted by thunderous drumming, joyful dancing, and the kind of hospitality that has permeated Rwandan society for centuries. The living musem features hands-on activities related to the rituals and ways of life of the ancient Rwandan kingdom. Some of Iby’Iwacu’s presenters and performers were previous poachers who have now been able to make a new livelihood through this memorable, interactive show designed for visitors of all ages. Gorilla families are divided into 2 sections. Those for study or research purposes which are strictly accessed by scientists plus researchers only. Among these are Beetsme and Pablo’s Shida’s which have the highest number of gorillas. This is the gorilla group that was researched by Dian Fossey. It derived its name from River Susa which flows in the home range of these gorillas. The family is the most challenging to trek since it normally stays up in the higher ranges of the mountains however the RDB’s Tourism and Conservation trackers will know in advance where the group is located the day before in advance for the next trackers. Sometimes tourists have been barred from tracking the group because of its distant location. This group is very impressive with a family size of 28 gorilla individuals with three Silverbacks. This was the biggest gorilla group prior to separating into two. The group had 42 individuals and when visited people would see so many gorillas scattered in the entire area. This group is renowned for its infant twins; Byishimo and Impano which are pretty playful. Normally, a mother leaves one of the twins behind, since it is very hard for her to take care of the two infants. It also has one of Rwanda’s oldest habituated gorillas like Poppy who was born in 1976. Poppy is thought to be among the gorillas which were in the initial gorilla group that Dian Fossey’s conducted her research. This family separated from the initial Susa (Susa-A) family and today it is referred to as Susa-B or the Karisimbi Group. It has 15 individuals and normally found on the slopes of Mt Karisimbi Volcano, the highest peak of Rwanda. The Karisimbi Group is more appropriate for serious hikers. It seems that they have formed their home in the higher mountain slopes of the Karisimbi caldera. So visiting this group may take a full day hike. The group at times moves to very high altitude making the tracking pretty challenging. Tracking the gorilla family at times can be stopped due to its faraway location. Sabyinyo can easily be reached and it is led by a strong silverback Guhonda. This is the biggest silverback of all the gorilla groups, since it is very massive in physical appearance. In comparison to other gorilla families, Sabyinyo has fewer members although it is just as impressive. This group derived its name from Sabyinyo volcano and it means an “old man’s teeth”. The Sabyinyo group is found nearest to the border of the park with 8 individuals that include one Silverback (which is the biggest in the entire park); three Adult females; a youthful female; two Juveniles as well as a Baby gorilla. Amahoro which means “peaceful group”, is the most calm gorilla group. This group has seventeen individuals: a Silverback; two Black-backs; five Adult females; 2 Sub-adult males; 2 Juveniles as well as 5 Babies. Nonetheless, the peace comes at a good price. Ubumwe, the silverback of this group is peaceful, really easy going as well as serene, but he has sadly lost some group members to the Umubano group led by Charles. To see the Amahoro you need to maneuver over a somewhat steep climb but the climb is worth it when you finally find this amazing group. Which means “neighborliness”, the Umubano family comprises of eleven individuals: a Silverback; a Sub-adult male; three Adult females as well as six Babies. Umubano were initially members of Amahoro group but separated following Ubumwe the then dominant silverback being overpowered by Charles, who is the current leader of Umubano. As Charles grew into an adult silverback just as Ubumwe, he couldn’t stand taking orders so he decided to fight and eventually challenged Ubumwe. This fight went on for some weeks and nearly months. Eventually, Charles was able to take a couple of females from Ubumwe hence forming this new group; the Umubano. From that time, he commands a lot of respect and is appreciated by Ubumwe. On a number of occasions interactions between these two silverbacks have been witnessed, however, no fights have been witnessed since that big fight. During its first habituation the group had 13 members. Today the group has nearly 25 members: a Silverback; twelve Adult females; two Sub adult female; three Juvenile as well as seven Babies. Previously this group was led by Nyakarima who was overpowered by Agashya whose name means “the news”. In fact Agashya made headlines by first observing and estimating the strengths of Nyakarima and finally challenged him to a brutal fight taking away his entire group. This greatly shocked Nyakarima and was it an extraordinary event in witnessed gorilla history. Then Agashya shifted up the volcano to safe guard his group and ensure that Nyakarima didn’t find them. Since then, Agashya has increased the number of members in his group by snatching some from other groups and incorporating other solitary gorillas, speedily the group expanded from 12 up to 25 individuals. Agashya is also known, at any first sign of danger, to take his entire group to the peak of the volcano. One time, while some tourists had gone to observe the Group 13 this scenario occurred. Agashya imagined that there was an opponent silverback which was about to fight him. In reaction, he led his group to the volcano. Whenever we closed in to the group they would go further away until we couldn’t go any further. So this is another challenging group to see. This group has 18 members and it is led by Kwitonda the silverback whose name means the “humble one” it also has 2 silverbacks plus a blackback. It moved from the DRC, and normally stays far away which makes it challenging to trek. This along with the Susa B are some of the most challenging groups to find. This group became renowned on 17th June 2006 after trackers witnessed its creation when some members from 2 separate families the Group 13 and the Sabyinyo group joined to form a smaller group at the time. Fortunately, some other gorillas also joined this group and today the Hirwa group has nine individuals: one Silverback; three Adult females; two Sub adult females as well as 3 Babies. Although it is the newest gorilla group, Hirwa shows strength and safeguards its members well. This family has 11 members with a Silverback. 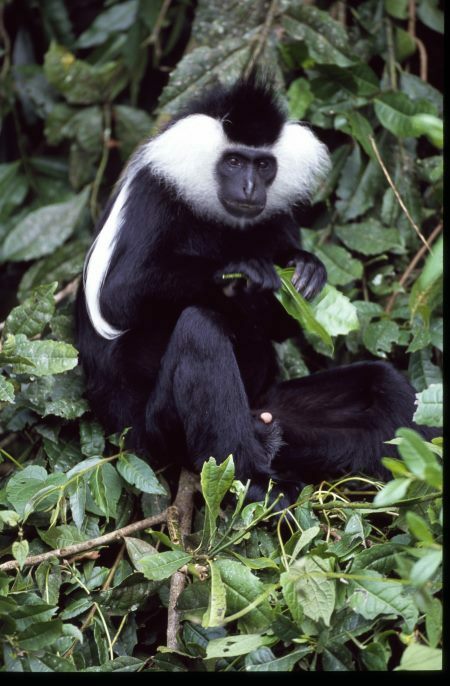 It is mostly seen in the Slopes of Karisoke Volcano. Bwenge is the silverback that leads the group which was established in 2007 after he left his birth group and was joined by other females coming from other gorilla groups. The group has faced some challenging times which included the death of six infants. Today this group is becoming strong with two successful births in the past couple years as well as a strong silverback leader. This trek to visit the group is challenging and includes an ascent of nearly 3 hours. It seems this is the group which featured in the legendary movie ‘Gorillas in the Mist’. This group lives in Rwanda’s Karisimbi area. It comprises of 11 gorillas including 2 silverbacks. Its acquired this name which means “being on the move” since the family was constantly moving from one place to another. Because it is constant moving, tracking it is normally challenging and involves prolonged movement to find them. Located in the South West corner of Rwanda, Nyungwe National Park is an untouched natural rainforest that is filled with exciting biodiversity. It’s believed to be one of Africa’s oldest forests, staying green even through the Ice Age, which explains its diversity. Hiking or even biking the beautiful terrain, tracking chimpanzees, experiencing the canopy walk, watching beautiful birds, relaxing by waterfalls are just a few of the activities that Nyungwe offers. It is home to one of East Africa’s last intact chimpanzee populations and boasts two wild chimp communities that welcome guests (one in Cyamdungo and other around Uwinka). 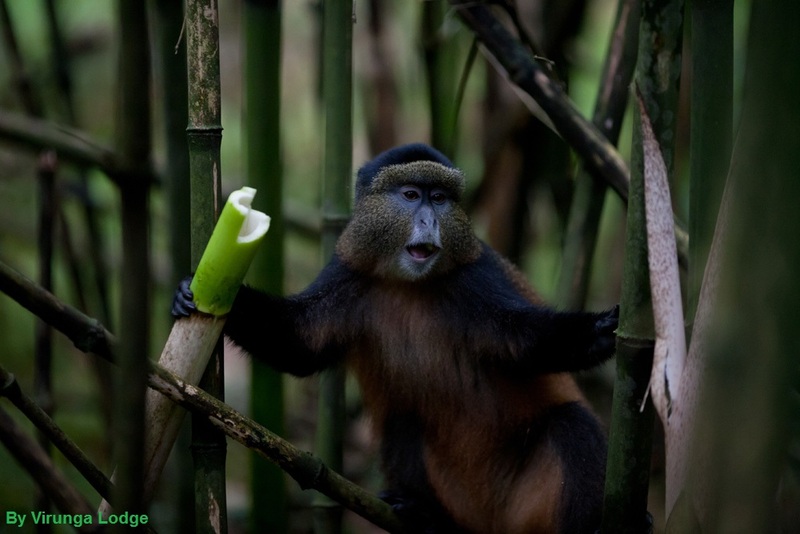 It is also home to Africa’s most diverse primate population. Thus, it’s not surprising that chimpanzee tracking is a popular activity in Nyungwe (especially when the park’s trees are in full bloom during the summer) as well-trained guides often lead visitors through the park’s forests. And while actually viewing chimpanzees is not guaranteed, you’ll enjoy learning about these creatures and their natural habitats from your guides. The park is described by Birdlife International as “the most important site for biodiversity conservation in Rwanda,” home to roughly 310 bird species, 27 of which are endemic to the Albertine Rift. Although actually spotting birds in the park’s forests may be challenging, the bird songs you’ll hear during the trek will surely make it more enjoyable. All our itineraries are tailor made to our guests specific preferences and requirements. We are partners with lodges of all price levels. If you wish to explore a sample itinerary to give you an idea about the trip please contact us. Are Mountain Gorillas a Dangerous Species? Will they hurt me during the trek ? Although dominant and very strong, these apes are gentle as well as shy, and in addition the mountain gorillas which visitors see within Uganda have been habituated. In other words they are habituated to people, a process that takes close to 2 years. Dian Fossey actually was against the idea of visiting mountain gorillas which is done today, however it is the money collected that supports survival of this endangered species and has seen their number increase over the recent years. When mountain gorillas are threatened they do attack so as to protect their very own. You will be advises on proper behavior around them to avoid this situation. When different Mountain Gorilla groups meet, there is a fight between the leaders and can lead to death. Recently two Silverbacks fought within the Democratic Republic of Congo and the rangers had to intervene. Finding the right clothes for your gorilla trek is not hard, but important. The weather can be very unpredictable! It rains every now and then and generally has a wet jungle climate. So you can imagine the steep and often slippery hills…you get the idea! Long sleeved T-shirt – A denim shirt should be ok, or something long enough to cover your arms from the wild plants and anticipated bush thorns. Remember you wake up early to the mist or morning chill and there are also insects and so you need to have your arms covered. Rain Jacket – A light weight but waterproof rain jacket should be your top priority. It’s the rainforest you will be hiking in. A poncho is ok as well. Long Pants or Trousers – Shorts are not a good idea! We do not recommend jeans since everything gets wet! The quick-dry pants are the BEST! You will have guaranteed protection from branches, nettles and the thorns. Shoes –We recommend hiking boots for foot wear, since you need to cover above the ankle. You might be hiking through deep mud. You can also ask for knee-high rubber wellies but they are difficult to walk in on longer distances. Hiking boots are good for the steep terrain sometimes full of vines depending on the gorilla family which you are visiting. Even the gorilla rangers in Uganda and Rwanda will be wearing rubber boots, locally called gum boots. Covering Hands: Usually leather gloves are the best. Or heavy duty building gloves. You have to hold unto those wet vines! Camera that allows you to turn off flash as it is not allowed. Waterproof plastic bag to wrap your camera in. Your clothing should be blending in with the jungle, no bright colors. No jewelry or perfume so the gorillas don’t get distracted and possibly excited.